CDS vendors are working to incorporate AI and machine learning into their products to boost diagnostics, imaging, pathology and radiology. Clinical decision support technology is becoming more popular among healthcare provider organizations to blend large volumes of information and ensure that the key details do not escape the attention of the care team. The fast rise of artificial intelligence and machine learning in clinical decision support tools has generated excitement over the potential for providers to revolutionize diagnostics, including in the areas of pathology, radiology and imaging. Clinical decision support technology experts offer a variety of opinions on where the tools are headed and how healthcare provider organizations should prepare for tomorrow’s tools —and the next generation of technologies will be tasked with providing greater guidance and sound advice in new ways. Hospital clinical and IT leaders should expect a steady adoption of artificial intelligence-driven analytic tools, first in teaching hospitals and academic medical centers, said Douglas Brown, president and managing partner at Black Book Research, a healthcare technology and services research firm. These tools will transform the skill levels of human clinicians, diagnostic decision-making, prescription drug support, integrate clinical decision support into EHR workflows, clinical goals and priorities, and trust in the accuracy and reliability of the underlying data, Brown added. "Clinical decision support must be sustained with as much reliable information as possible." That will no doubt include health data gathered from the electronic health record, customers, health plans, medical equipment and wearable devices. Black Book’s research found that 77 percent of hospitals fear that weak early clinical decision support system implementations have challenged the clinical judgment of medical professionals. What’s more, 86 percent of respondents who use new systems said the tech is highly scalable, which enables hospitals to determine if existing data sets are sufficient to support new algorithms designed to extract actionable insights from financial, clinical, operational and customer-driven sources. Some experts think about the evolution of clinical decision support technology in terms of what needs to be done in the short-term, mid-term and long-term. Some things can be done right now, while others will take a bit longer to implement. As healthcare moves into the next phase of clinical decision support, it’s time to integrate content, Loomis said. In the near-term, healthcare needs to consolidate clinical decision support to help all members of the care team – physicians, nurses, respiratory therapists, allied health professionals, care managers, everyone who’s taking care of the patient, he added. Next, healthcare has to harmonize content, Loomis said. Healthcare must begin thinking about patients, and start to deliver directly to them the same content it gives to providers, but in a patient-oriented way, he suggested. Looking at clinical decision support in the long term, healthcare must begin to take the data generated by providers, learn from that data, then use it in a virtual feedback loop to better inform pathway content, Loomis said. Healthcare is approaching an inflection point toward advanced clinical decision support tools, and in the future physicians will have more visually dynamic and interactive pathways that move beyond decision support to true evidence-based decision making more deeply embedded in the clinical workflow, said Diana Nole, CEO of Wolters Kluwer Health, a health IT vendor that markets clinical decision support technology. "To optimize clinical effectiveness, healthcare organizations can leverage more advanced tools that focus on helping patients with the highest risk/highest benefit conditions." And artificial intelligence will play an exciting role in the future of clinical decision support technology, she added. 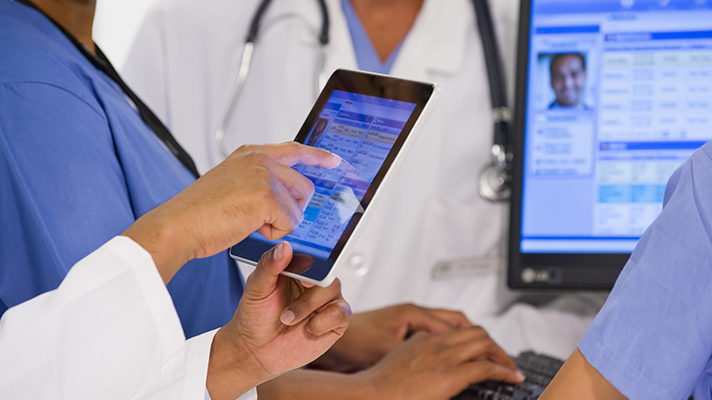 Physicians, pharmacists, nurses and other care providers across the continuum of care will be able to tap AI as a resource with the potential to analyze patient data in the EHR to inform and support clinical decision making, she said. From the provider perspective, Sabiha Raoof, MD, chief medical officer and patient safety officer at Jamaica Hospital Medical Center and Flushing Hospital Medical Center, knows what she wants tech vendors to deliver in the future.